I recommend starting with the sauce, since you need it to cook the pork. Place the chilies, garlic, and two cups of water in a deep pot and cook for 15-30 minutes, until the chilies are soft. Pour the mixture into a blender or food processor and add the black pepper, cumin, seasoning and sea salt (if you like). Blend until the sauce is thick. Place the pork in a baking tray and cover in olive oil. Bathe it in the morita chili sauce and broil at 420°F for 30 minutes, or until you reach an internal temperature of 145°F. 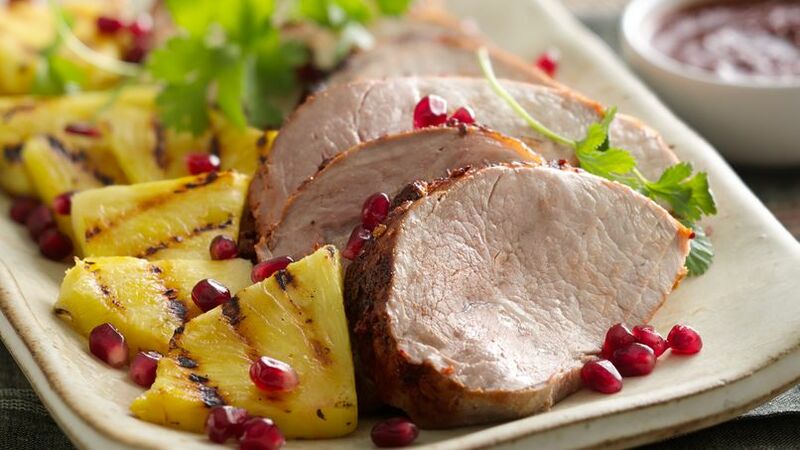 To serve, finely slice and serve with a side of grilled pineapple, pomegranate seeds and cilantro leaves. This recipe also goes well with pork ribs or chicken. If you can’t find morita chili peppers, you can use guajillo peppers. I love the holiday season; it’s the perfect time to open up your family recipe book and cook up some festive Christmas dishes. One of my favorite recipes is pork tenderloin with morita chili pepper salsa. It’s an ideal choice for entertaining your family and friends with a special dish using seasonal ingredients.